of some butterflies at risk of extinction. According to the International Union for Conservation of Nature (IUCN), Italy is the European country that counts the largest number of butterfly varieties, about 60% of all the species on the continent, of which 4% are unfortunately at risk of extinction due to intensive agricultural practices that threaten their natural habitats and to the consequences of climate change. Friend of the Earth, along with the Polyxena Association, has started “Save Italy’s butterflies”. The project consists of protecting some vulnerable butterfly species via their ex-situ reproduction and the subsequent reintroduction to nature. The ex-situ reproduction takes place at Farfalia, the butterfly house located inside the “Lama degli ulivi” (‘olive blade’) botanical garden in Monopoli (Bari), where the whole cycle is carried out, from the deposit of the eggs on plants to the first flap of wings and to the consequent release into nature. 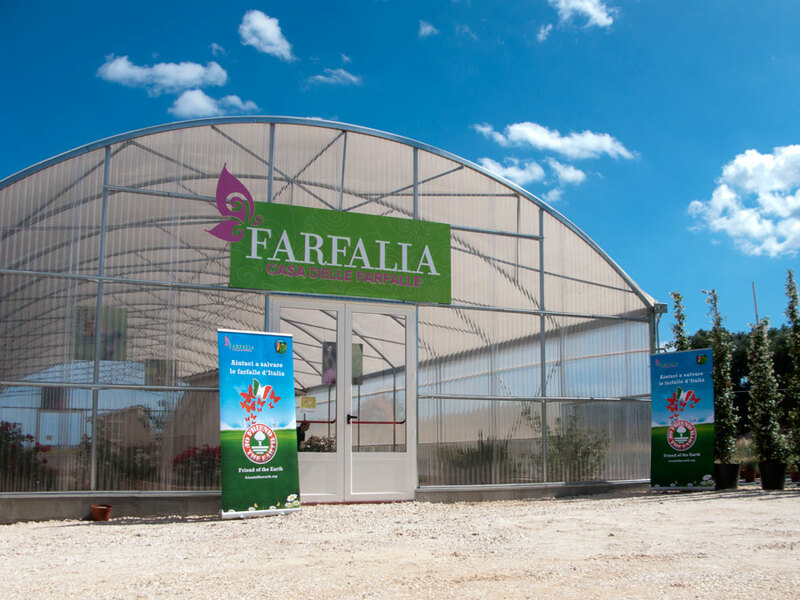 Visitors to Farfalia are involved in educational activities and can participate actively in monitoring the state of the project and the release of the butterflies. Since its opening in June 2016, Farfalia has hosted several species of butterfly, among which: Zerynthia cassandra, Melanargia arge, Hipparchia sborodonii and Charaxes jasius. You too can help us save butterflies at risk. Anyone can contribute to the project by photographing butterflies spotted and sending photos to the address communications@friendoftheearth.org or via WhatsApp to + 39 351 25 22 520. The sightings will be cataloged and inserted in the map of the butterflies of Italy. The butterfly census will allow for raising the awareness of local administrations regarding the need to protect the territory. The Polyxena Association operates in southern Italy for the conservation of biodiversity through scientific research, environmental education and sustainable tourism. In June 2016, the association opened Farfalia, the House of Butterflies, whose aims are to increase knowledge on some species of endangered native butterflies, identify the elements of threat and find suitable protective measures to avoid their disappearance, providing an innovative tool for environmental education. This project also has the important objective of experimenting with the breeding of endangered species such as Zerynthia polyxena and Melanargia arge for release into nature, introducing an important potential application to future repopulation projects. In fact, the butterflies bred will partly be liberated in environments suited to their presence and partly remain in the structure to guarantee the succession of generations over time. The House of Butterflies consists of a structure of 90m2 where a habitat of Mediterranean scrub is recreated inside, ideal for the reproduction of native butterflies. 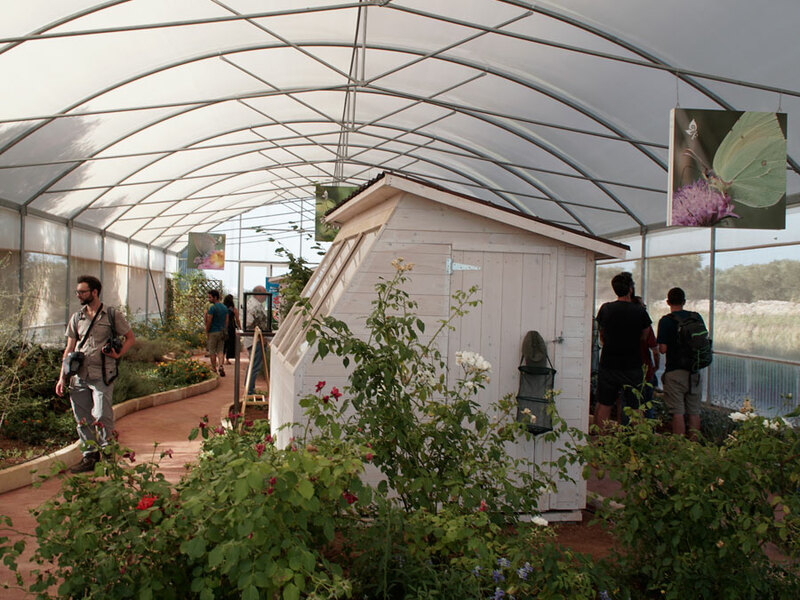 The structure is designed to protect plants and butterflies from predators, parasites and atmospheric agents and to prevent the escape of caterpillars and butterflies. Initial populating was carried out with specimens at the larval stage, minimising the impact on the sampled populations. The species in question include both common and endangered species on a European level due to threats such as the subtraction and fragmentation of habitats, changes in land use or climate change. Data for the monitoring of populations was collected during the sampling activity. To date, about 27 different species of butterflies have been hosted at different stages of development. Many of these species, including specimens of Cleopatra gonepteryx, Artogeia rapae, Papilio machaon and Pieris brassicae, have completed their entire life cycle inside the house. In addition to providing valuable support to scientific research to provide the most accurate knowledge of the Lepidoptera of Puglia, this project also includes environmental distribution with the involvement of citizens. 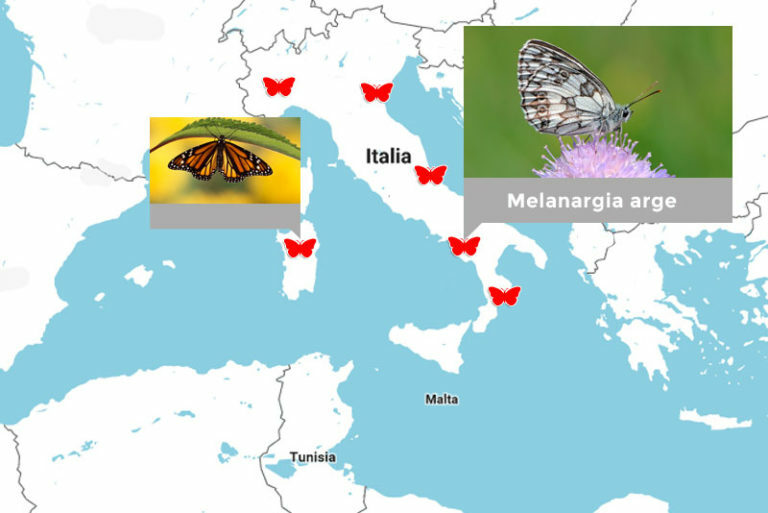 In fact, the Polyxena Association has started a program to monitor the populations of Lepidoptera in the “Lago di Conversano e Gravina di Monsignore” Nature Reserve which provides for the participation of visitors. Through the knowledge of the territory, this project aims to make the public aware of the role of biodiversity conservation in environmental sustainability. Help us conserve the environment! Your support is important. Donate and contribute to conserving our biodiversity too.